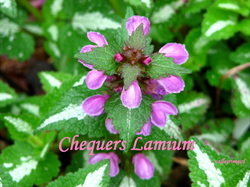 This spreading lamium had small heart-shaped green leaves with a silvery stripe down the middle. Many clusters of rosy-purple flowers will form in spring and this lamium will continue to bloom thru fall. It is growing in full shade thru full sun in my yard. I really like this little pink perennial. 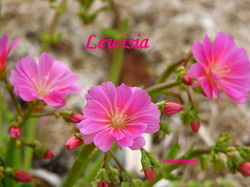 It blooms for a long time in the spring. It needs good drainage and likes acidic soil as well as full sun.